I created something for my Polish readers! This map is done the same way other Push Pin maps were created. As you can see I'm still in the process of doing it. 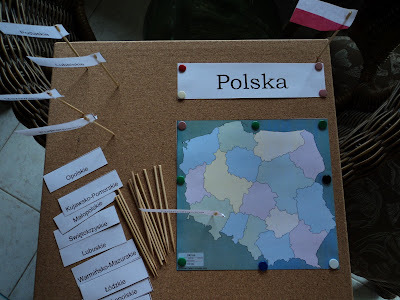 I like the idea of showing the flag of the country on the corner of the board. Is it not beautiful flag?! Please download necessary sheets over here. I like this, looks great!! Awesome! You sure are inspiring me to make some pin maps. They look really great. Thank you for sharing.